If you’re looking to establish your business in Dubai, you need to know that there are certain procedures to establish a business presence in the United Arab Emirates. In this article, we’ll take a look at why businesses should choose Dubai as a place to do business, the necessary steps to begin doing business in the country, and an alternative method that may save your business’ resources. The United Arab Emirates (UAE) is one of the premier locations in the world to engage in business. With an ever-growing economy in Dubai, the largest and most populous city of the UAE offers an abundance of opportunities for international commerce and trade. The UAE has one of the most robust GDPs in the world for a country for its size ($729 billion per year, as of 2016 estimates), with Dubai sharing in this vast wealth (with $107 billion, as of 2014 estimates). 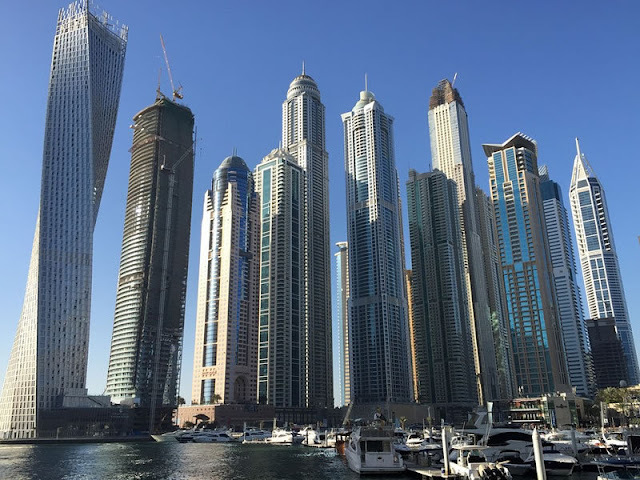 Dubai itself has been one of the fastest-growing economies in the world, as well, with high economic stability due to the country’s diversification from oil into more stable industries, like aerospace, tourism, and finance. All in all, starting a business in Dubai shouldn’t require more than a week of effort once you have sorted out all of the necessary legal procedures. Be sure to read each step carefully and consider how your business idea will fit in the Dubai economy. The first step to starting a business in Dubai is knowing which industry or market you’ll be working in. For most commercial entities, the type of business determines what type of procedures you need to follow. However, for certain types of business activities, like veterinary services, jewelry trading, and food/ beverage establishments, there are additional approvals that you will need from government agencies. For reference, visit Dubai’s Department of Economic Development (DED) webpage, which has a list of 2,100+ business activities that you can participate in. If your type of business isn’t listed or you need further elaboration, contact the DED directly. Each free zone comes with its own specific regulations and formalities to approve your business before you begin. Once you’ve determined if your business is viable in Dubai, it’s time to secure ownership of your company via licensing. Unless you’re an Emirati, you need to obtain a license and location in the free zones of the United Arab Emirates to have 100% ownership of your company. Dubai is no exception. To operate locally, you’ll need a local license from the DED. DED licenses come with certain restrictions on ownership for foreign nationals. Depending on your location and type of business, foreign business entities must follow the rules in regards to the make-up of your organization. As an example, if you plan to establish a legal consulting business, you cannot be sole properties; only businesses that establish a branch of a company or as a stand-alone company are allowed in Dubai. An overview of applicable structures can be found here, or visit the DED’s comprehensive webpage on structures for a detailed guide. As with any business, your organization’s trade name is an important step of the legal procedure in Dubai. Ideally, your organization’s trade name should indicate the nature of your business and indicate the nature of the business, For a guide on the rules on the topic of trade names, refer to DED’s guide on starting a business. In most cases, you do not need to pay minimum capital when setting up your organization in Dubai. However, it should be set up in the Memorandum of Association of your proposed company. Once you’ve handled the paperwork and processed the legal procedures, you will need to establish a physical presence in the company. It helps to anticipate this by doing the research beforehand or while you’re completing the aforementioned steps. This clears a path to establishing where your business will be located and how it will operate in the near-future. Depending on your type of business and how you plan to run it in Dubai, you may be required to hire a manager to oversee your Dubai-based operations before your registration is fully processed. There are additional hang-ups, which may bar certain entities from directly hiring staff, forcing them to rely on contractors. More details on the specific hiring procedures can be found in the DED guide. To obtain a DED license(s) in the UAE, it is mostly a mandatory requirement to have a local agent, business partner or local sponsor to do business in the UAE. However, this requirement is not necessary for free zones like Dubai. However, it can be a great benefit to establish an “in” with locals to streamline your business and facilitate your company’s growth. If you’ve made it this far in the guide, you are probably doubting your ability to make such a leap or deal with bureaucratic red tape. An alternative approach for startups and businesses that want to bootstrap their international business without the overheads and headaches is Dubai virtual phone numbers. Virtual phone numbers are simple. By subscribing to a virtual phone number provided, you can establish a business presence by using a number that’s unique to that country. Those who call your Dubai-based number have their call routed to whatever phone numbers you already have to process callers, enabling an instant presence in Dubai, without the legal wrangling and complicated startup process. Dubai is a booming economy, offering a wide array of opportunities in business. For many industries, it makes perfect sense to open a business there, as the prospects are incredible. However, for those aiming to keep costs down, and especially if your business operates with a solid remote structure, expanding into Dubai and opening a branch of your business there virtually can be the smartest way to start.